The Cathedral Church of St. James in Toronto is the oldest congregation in the city. Established in 1797, the current structure was completed in 1844 and was one of the largest buildings in the city. 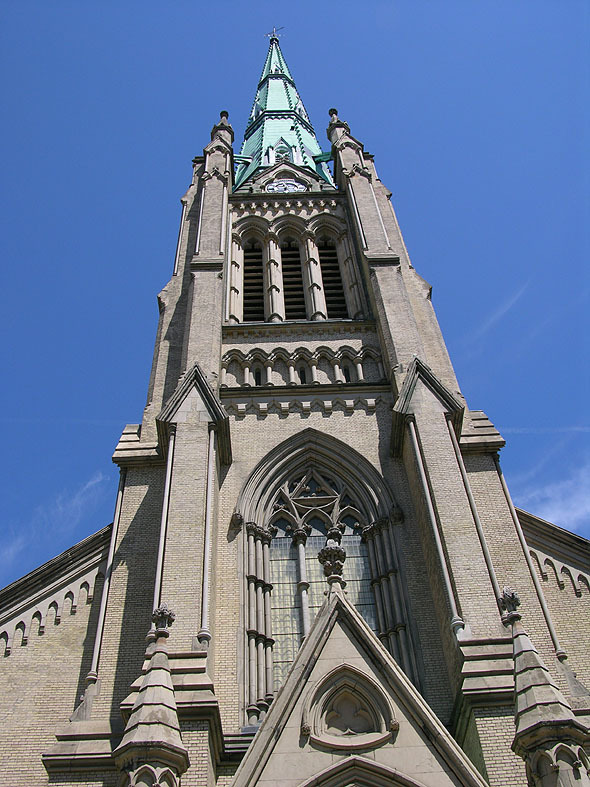 The church is listed as an Ontario Heritage Property and a National Historic Site and is the seat of the Anglican Church of Canada’s diocese in Toronto. At 305 feet the Cathedral is the second tallest church in Canada, behind Saint-Joseph du Mont-Royal in Montreal. It was designed by Frederick Cumberland as a prime example of Early English Gothic architecture. It opened for services in 1853, the clocktower being finished in 1874, with the clock being installed a year later. At the turn of the 19th century St. James Cathedral was the tallest builing in Toronto, and was often the first thing immigrants noticed when they steped off the train at Union station.